07 Sep Some relief from the dry and declining prices. Decent rain for parts of northern NSW and south east Queensland was enough to provide a bit of a price boost across all MLA reported eastern states cattle categories this week. Although, the seasonally low throughput levels and tightening supply are just as likely causes for the price turn around. Rainfall totals exceeding 50 mm were recorded in parts of northeastern New South Wales and inland southeastern Queensland, bringing some short-term relief to producers in these regions (Figure 1). In response to the rain, cattle prices across the east coast lifted across the board. 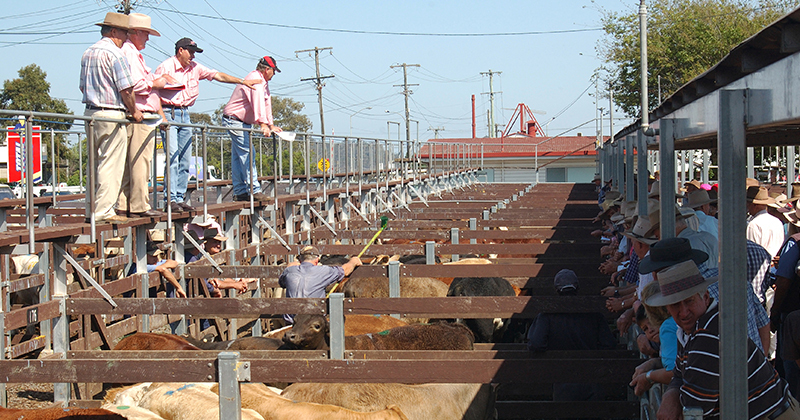 The Eastern Young Cattle Indicator (EYCI) jumped 23¢ to close at 484¢/kg cwt. Price gains weren’t limited to young cattle, with the Heavy Steer Indicator up 14¢ to 283¢/kg and medium steers posting a 17¢ rally to 274¢/kg on a live weight basis. Heavy and medium steer prices are once again above levels recorded this time last season (Table 1). Weekly throughput levels for EYCI eligible cattle has been in decline since early July. As young cattle prices have eased, producers have tightened supply. Indeed, EYCI cattle yardings dropped to their lowest weekly level since April, with average daily throughput for the week hitting 9,496 head and creeping under the normal seasonal range in throughput that is expected for this time of year (Figure 2). The EYCI yarding sits 30% under the weekly ten-year seasonal average at the moment, which is uncharacteristic for this season. As identified by the 2018 trend in the EYCI yarding, most of this year has been spent trending above average and at the upper boundary of the normal seasonal range. This is reflective of the dry conditions. Thankfully there is more rain on the short-term horizon for much of eastern NSW and Victoria and this is likely to continue to lift spirits in areas suffering drought. However, the rainfall forecast for the month of September points to a drier than average situation. A return to dry conditions in areas with minimal subsoil moisture in the bank could see pressure return to cattle prices in the coming weeks as many regions rely on late Winter/early Spring rains to grow enough pasture to get them over a dry Summer.